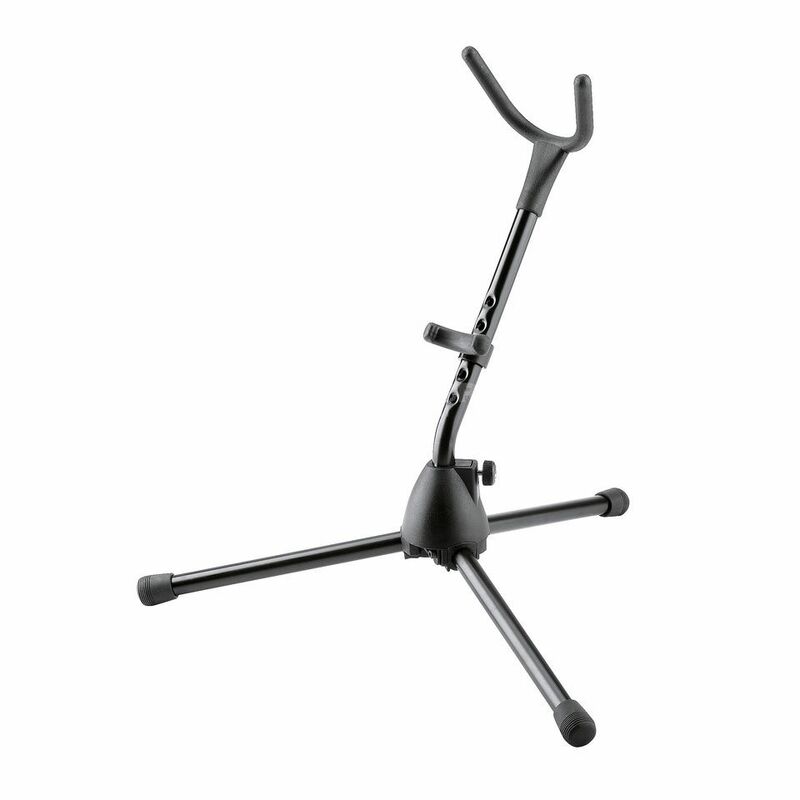 The Konig & Meyer 14300 alto + tenor saxophone stand is fully adjustable to accomodate alto and tenor saxophones. The 14300 stand features a reinforced fibreglass base and a flexible support arm for for all size bells. The lower support arm is fully adjustable giving the saxophone maximum support. All support part of the K&M 14300 alto + tenor saxophone stand are coverd with a protective plastic coating to prevenmt any marks to the instrument finish. I like it because it's very easy to make a break for 10 min, is not so compact to transport but is ok.